This is the summary of consumer reviews for CorPak Soft Comfort Frost-Free Hot/Cold Packs. The BoolPool rating for this product is Very Good, with 4.40 stars, and the price range is $3.89-$23.20. 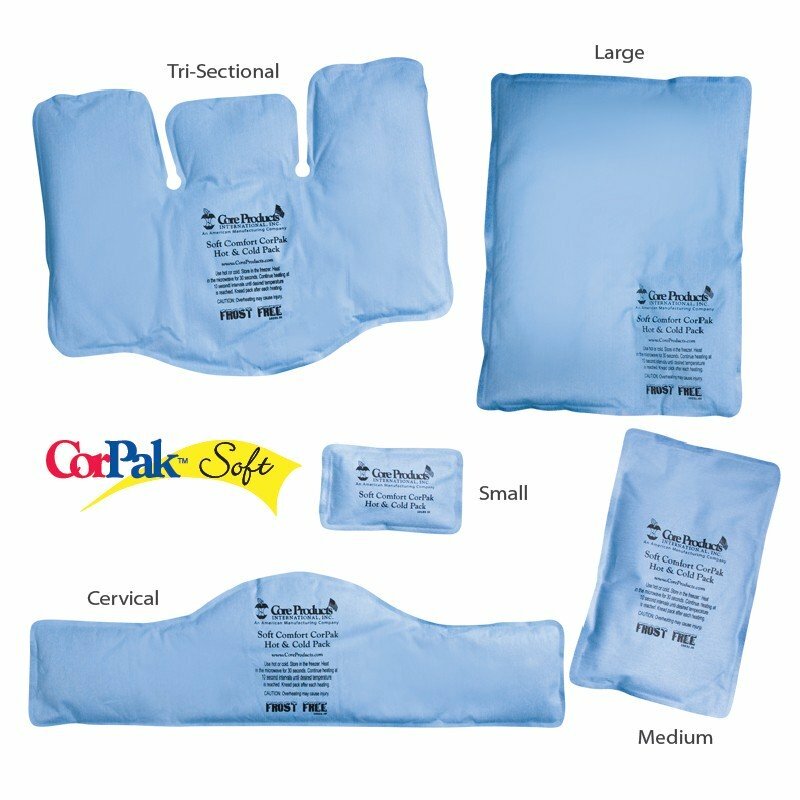 CorPak Soft Comfort Frost-Free Hot/Cold Packs are the perfect solution to help relieve strains, sprains, headaches and other soft tissue injuries. 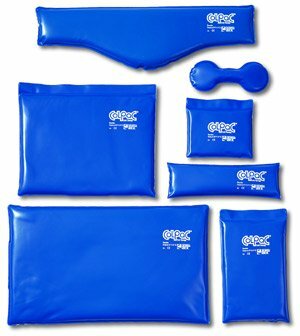 These versatile packs can be cooled in the freezer for acute care to help control swelling and blood flow, or warmed in the microwave to aid muscle relaxation, encouraging increased blood flow to promote healing. These packs are soft from outside and gentle on skin therefore do not need to be wrapped in a towel. 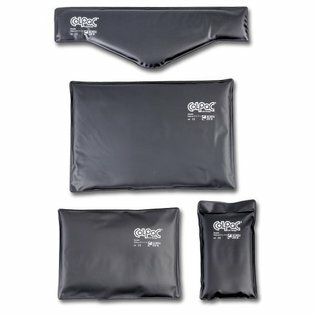 Soft Comfort CorPaks have more fill than traditional packs to retain cold and heat longer. These packs remain flexible even when they are cold and frozen. They are easy to clean. Some users complain about the picture of the product on the package, since it shows all the sizes even though there is just one single piece in the package. Overall, Soft Comfort CorPaks are great for home and chiropractic use. They come in different shapes and sizes and work very well for different body parts. 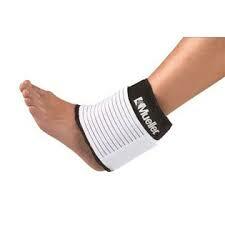 I purchased this for my knee after surgery. It work ed great for her knee and really helped the haling process. Works well for shoulders and knees and various spots on the body. Sent this to my mom after knee surgery. The outside material is like a lightweight felt. Wife had knee surgery right after we received the gell pack. 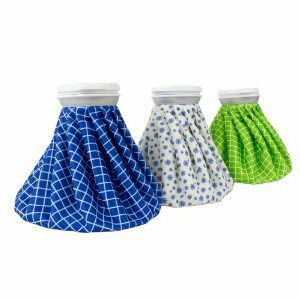 I love these icepacks because they'ren't plastic on the outside, they're a soft material. Says it stays colder for quite a while. Comfortable and soft outside material so you don't need a towel or--material between the pad and your body. one last thing, 10x13 is good size for the money, but if its for a knee you'd need 2, for the top and bottom as it doesn't fit around the whole adult knee. The picture is very misleading...arrrgh. So, please in order to please all your customer, update this picture, or sell the rest of what you show in the picture. The Picture on every page shows multiple pieces but only one arrives. pictures are misleading, got 10 dollars back bummed out that the packet wasn't complete, no returns because it's a health item. Also, the picture is misleading since it's 5 of these different shaped units in it when in reality all you get is the 10" x 13" size unit (go figure). Great size for your back. As you can see this picture fools you, because you see many packs but you're actually buying only one. Nice cover but does take on the freezer smell a bit. On their product description they'd an image that showed several gel pad shapes and sizes. Show the actual product you're selling. the product looked great online, received it, didn't stay cold enough, long enough, for me, I returned it for a full credit. This product didn't hold heat or cold that long, though the size and shape was nice and it was very flexible. If you're going to sell a product, don?t show pictures of several sized examples when you're only offering one size. Excellent product; excellent seller business practices. This's exactly the product I was looking for to replace the older plastic and duct taped on that was in my freezer. My complaint is the photo included with the description of the product. Stays cold for a long time. Stays comfortably cold for a long time. gets the job done.i ice my neck daily and it fits well and i can work on the comp, while iced domn.Lasts a long time cold. I haven't used it as a cold pack yet so maybe it works better cold. These packs keep the heat very well. They stay cold PLENTY long enough (around 25-30 minutes (you shouldn't be icing beyond 20 minutes anyway)) and they refreeze rather quickly. This requires several heating times in the microwave and it doesn't hold the heat for very long. The cold retention and transfer is pretty good as well, as opposed to those little magic ball packs that stay frozen forever but don't transfer much cold. 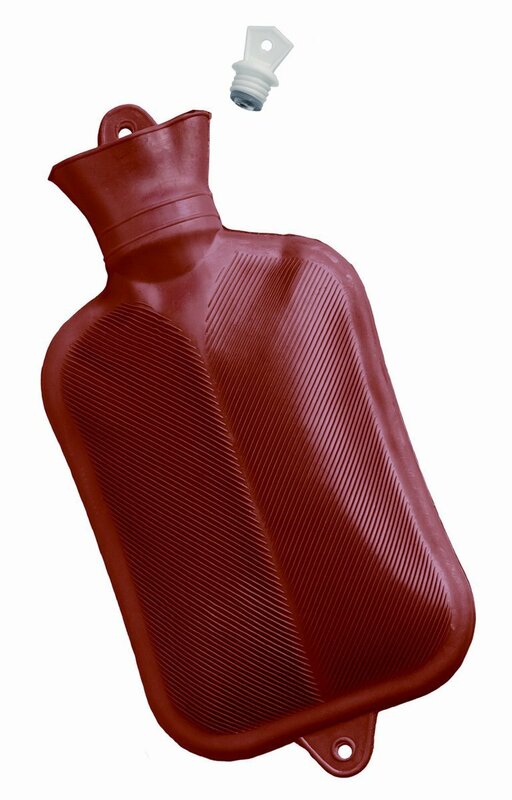 I've a large one by Core which I use for cold therapy and it works great. It's a very cold, flexiable ice pack that stays cold for quite a long time. I don't have to ice it, move the ice pack and ice again. Doesn't freeze hard like ice. Doesn't sweat when cold like ice. This's my new favorite ice pack - I'll probably buy more!. it doesn't freeze HARD like other packs, and is super cold for a long period of time. It gets cold and it stays cold long enough. After giving up on another pack with a built in elastic strap with velcro, I'm now using the reviewed ice pack with the salvaged elastic band with great success to ice an ankle. They claim to keep cold much longer, but after the first 15-20 minutes against skin, they'll simply a little 'cool', not at all cold or ice pack worthy. It stays cold longer than a regular gel pack. Bought it to duplicate the cold pack used at physical therapy. my previous cold pack gave me a good 20 minutes and it's the same type. So it really needs to be wrapped in a towel if used as a cold pack. .I haven't tried it as a hot pack yet but I'm assuming that it'll be just as good as the cold pack. I specifically purchased this to use this as a cold pack and it works fine. 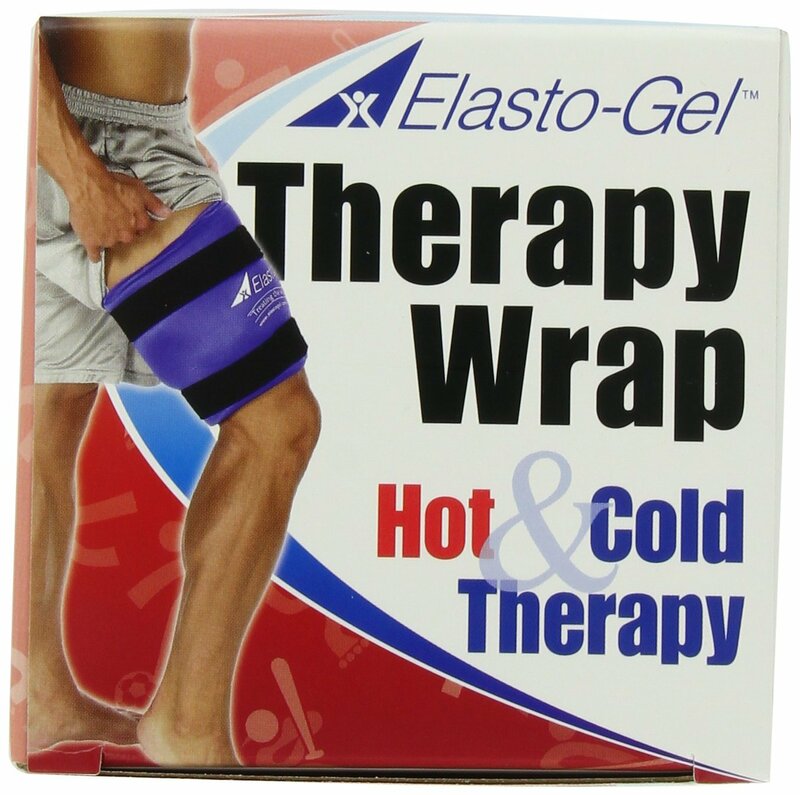 I've used this hot/cold pack in my chiropractic practice and love it. Nice to take to bed on cold nights instead of hot pad.